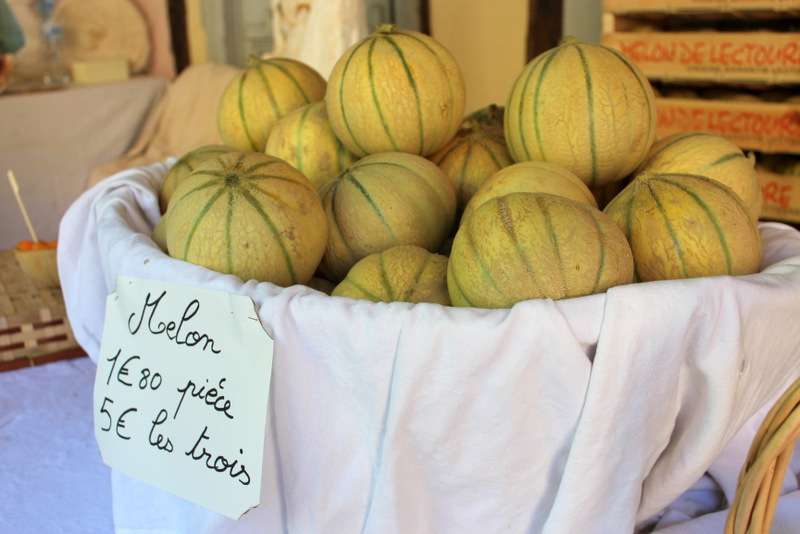 Round these parts of France, melons are THE fruit of Summer. Lectoure, just 25 minutes down the road from me, is famous for growing them. The soil and climate here are perfect for the Charentais melon, my favourite type. It has the sweet, juicy, fragrant orange flesh which explodes in your mouth with mind blowing flavour. They are literally sold everywhere during the months of July and August when they are in season. You can pick them up for as cheap as 1 Euro each. They sell them at all the markets and pop up stalls even appear at the side of the roads or in laybys off round-abouts. Melon mayhem reigns…. So plentiful are they that we have them for breakfast in our house. My daughter would eat a whole one to herself at every meal of the day if she could. Simply paired with torn up Bayonne ham and strewn with shredded mint, they are always guaranteed to bring you utter feasting joy. I also enjoy them blitzed up with a little lime juice and a dash of Floc de Gascogne (a local aperitif similar to port) and a pinch of sugar. Chilled and served in shot glasses, it makes an elegant and delicious amuse bouche. But that is about it. For me, melons are a simple thing, not something I would normally mess around with too much. Until I recently came across a recipe for Tarte Au Melon in Pierre Koffmann’s ‘Memories Of Gascony’. Pierre Koffmannis a total legend. He was born in SW France and spent much of his childhood in Saint Puy, the village my mother lives in, just 5 minutes from my house. It was the food from this region, cooked by his Grandparents, that influenced him and helped to build him into the 3 michelin starred chef that he is today. His philosophy of following the traditions of the peasant cooking from these parts is one that I completely subscribe to. His book is a wonderful journey through his childhood memories and culinary influences. I cannot praise it highly enough. Anyway, the idea of making a tart out of melons was one I had not contemplated. I guess I was worried they might be too juicy for the pastry. But I knew I had to try it as soon I as I saw it. And it did not disappoint! The pastry remained crisp whilst the melon burst in my mouth with sweet juiciness. A stunning Summer tart that I shall be making regularly. Heat your oven to 220C/200C Fan. Lightly butter a tart case, lay on your pastry and trim to fit. Line with baking paper and pour in baking beans. Blind bake for 15 minutes. Prepare your melon. Cut it into quarters and scoop out the seeds using a spoon. Then slice each quarter into 5 or 6 long slices and then carefully take off the skin. Make a syrup by melting 75g of the sugar with 2 tablespoons of water. Once the sugar has dissolved, add the Floc or other alcohol if using. Add your melon and coat with the syrup and let them cook for 1 minute. Remove the melon (reserving the syrup) and pat dry with some kitchen towel. Once the pastry case has been blind baked, remove the baking beans and baking paper and arrange your melon slices in the tart case. Prepare the filling by whisking together the eggs, corn flour and 75g of the sugar. Then mix in the milk and pour over the melon slices. Bake for 30 minutes. Then remove from the oven and sprinkle over the last 50g of sugar and then put the tart under a hot grill for 8-10 minutes until the sugar has caramelised. Finally, pour most of your poaching liquid onto your creme fraiche and mix it up. 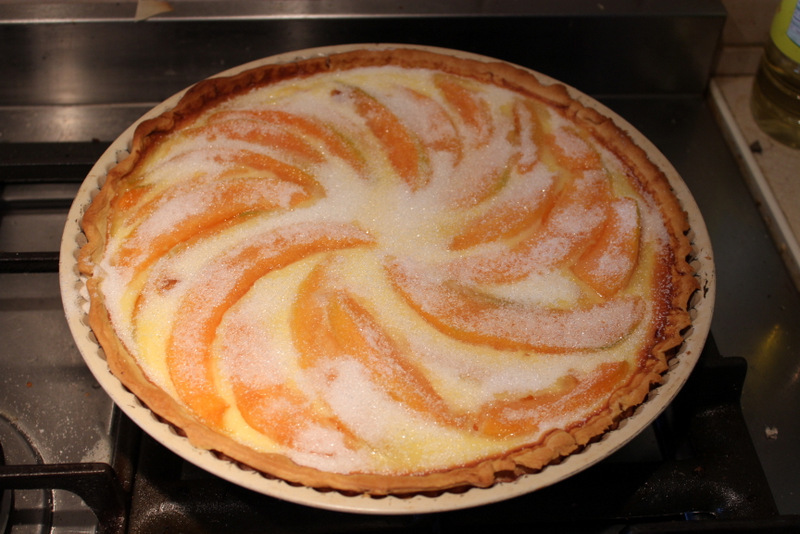 Once the tart has cooled completely, serve in slices with a large dollop of the flavoured creme fraiche. And I just thought I would also share another little melon recipe with you whilst I have you here. This one is for Watermelon. I really think it’s amazing that you can now buy seedless watermelons! It makes all the difference. 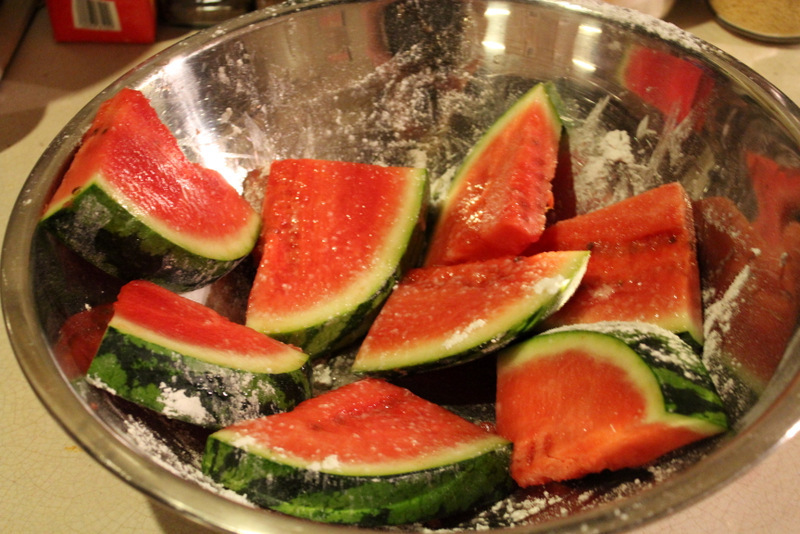 Cut your watermelon into slices and then chunks…squares or triangles, whichever you like. Aim for 2 chunks per person. Put them in a bowl and liberally dust them with icing sugar. 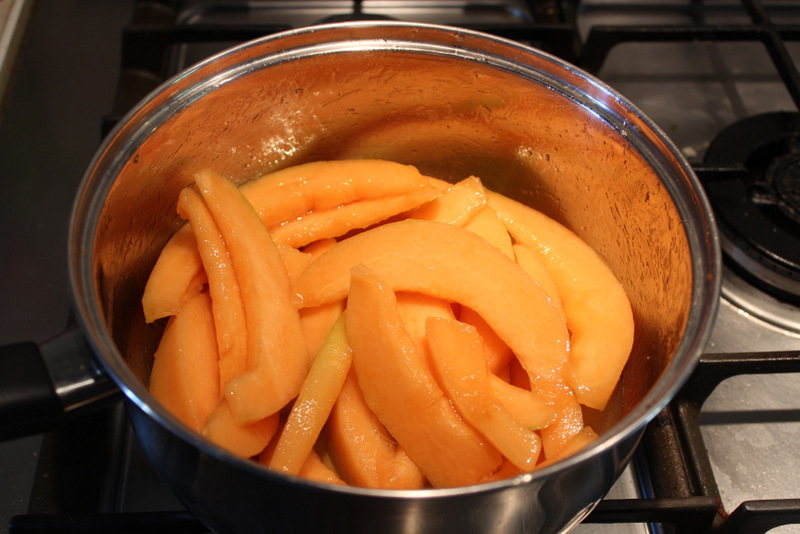 Then place them on a plancha style BBQ or foil BBQ tray and cook for 3-4 minutes each side, until the icing sugar has glazed the fruit nicely. Serve with a generous spoonful of yoghurt, pine nuts sprinkled over and finish with a drizzle of honey. A little wacky, but definitely yummy! If you are interested in finding out about all the brilliant food blogging challenges that are being held every month, you should hop over to Tinned Tomatoes where Jacqueline runs a ‘The Food Blog Diary‘. You can keep up to date with all the events and themes there, it’s a great resource! I am entering these melon recipes into this months Four Seasons Food Challenge (hosted by me this month here) for which the theme is Summer Puds so these two certainly apply. 23 Comments on "Twistin’ My Melons Man! 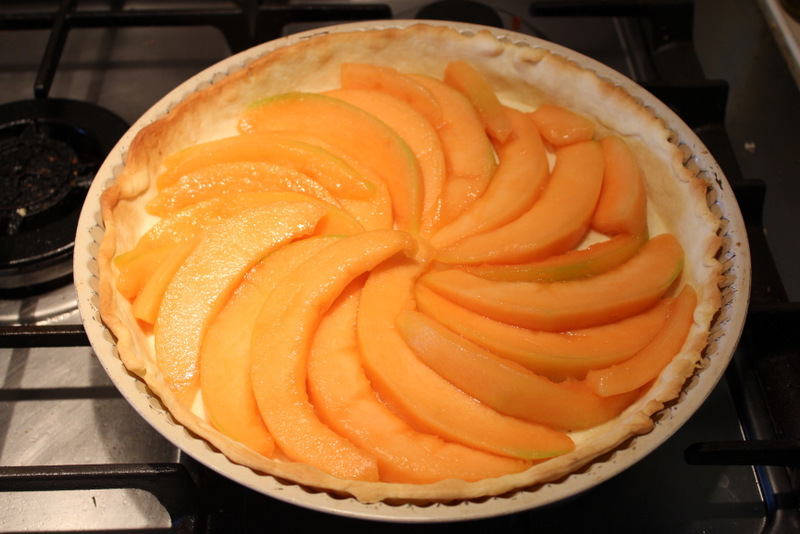 (2 Great Melon Recipes)"
The melon tart sounds intruiging! The perfect thing for me to make and take to a picnic next week. Thanks for the inspiration, comme d’habitude! 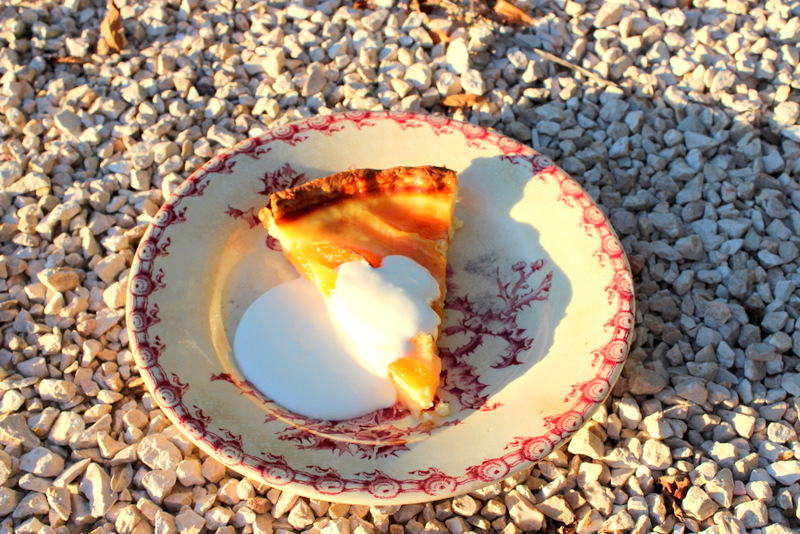 That melon tart (Koffmann is my HERO-we published Memories of Gascony) looks remarkable. I’m definitely trying that! 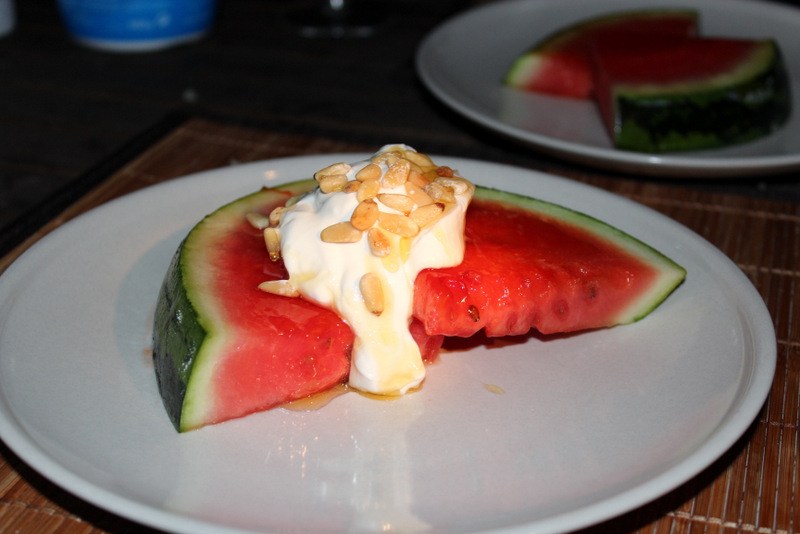 Hi Anneli – you know, I have never heard of making a melon tart! Well, to be honest, the idea of cooking with melon never really crossed my mind. It’s ensconced in my mind as “a fruit to eat raw”, but what a lovely idea. I will try it soon; as you say, melons are all over the place right now so it would be a shame not to profit from them! (That phrase doesn’t really work in English as it does it French does it?!). 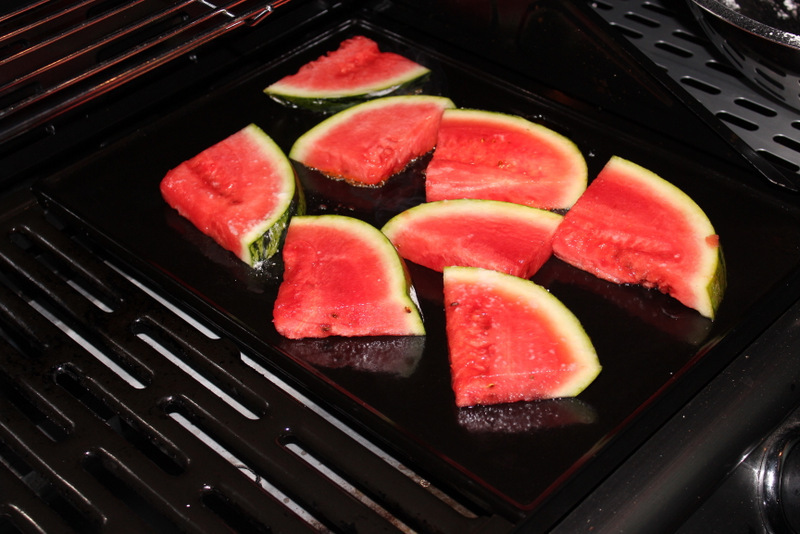 I know what you mean…melon was not something I thought about cooking before. But it’s good. If anything, it makes it even more juicy and soft! I hope you enjoy it too if you try it. Yum, I really like the sun-radiating design of the melon slices- I suppose you could also adapt this recipe into a ‘tarte aux fraises’! Beautiful recipes and I particularly love the idea of a melon tart. That’s something completely new to me and I would love to try it. Anneli, I just love those melons and miss not being in France this year. Elizabeth David, in French Provincial Cooking gives a recipe for a Melon Ice Cream which she calls Glace au Melon de l’Isle St. Jacques I made it last year and it is absolutely out of this world. I think the melon tart sounds wonderful — Oh! I wish I was there! They both look ABSOLUTELY divine! Great work! You are so right Anneli. They just are not the same — none of that wonderful fragrance. I tried making the ice cream here (in Macau, China) using a similar melon from Japan but it was a pale shadow in comparison! I think it’s the sunshine! I have never ever heard of a melon tart. This looks absolutely fab. lovely ideas for cooking melon (something I have never thought to do). I think the barbecue one sounds particularly intriguing and one I shall be trying out!